In stock, ready to deliver! The Genie ZX135/70 Ideal for construction and industrial applications. This Genie engine-powered articulating boom provides lifting versatility with a combination of up, out and over positioning capabilities and outreach that’s second to none. 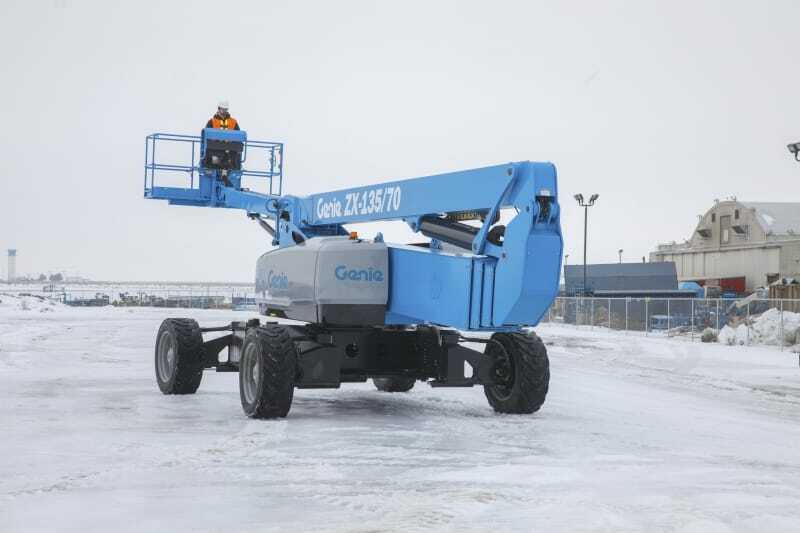 The Genie ZX 135/70 offers a huge 43.15 metres working height and cage capacity of 272kg’s. The new X-design chassis extends and retracts to provide both stability on the job and a narrow profile for transport. It offers a huge up and over clearance of 23.01 metres for those demanding projects.